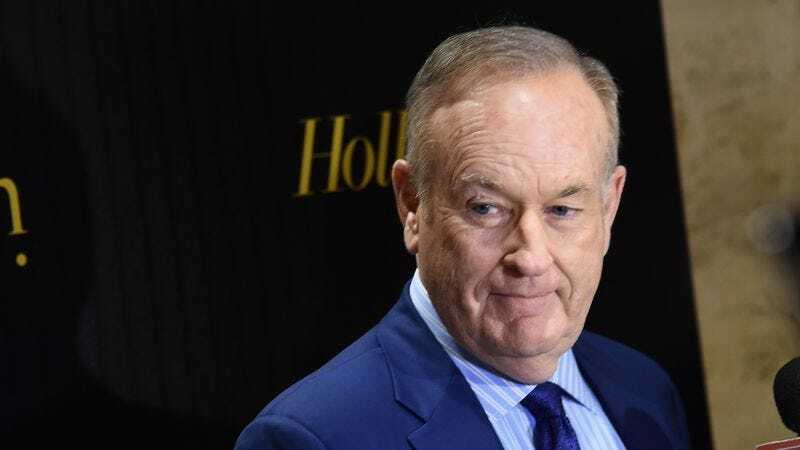 On tonight’s episode of The O’Reilly Factor, host Bill O’Reilly—who is currently in the middle of a big sexual harassment scandal—announced that he’s taking a vacation and will be gone from his show until April 24, but a report from New York Magazine suggests that he might not actually get to come back at all. Apparently, multiple “highly placed” sources within Fox News have confirmed that 21st Century Fox CEO James Murdoch wants O’Reilly taken off the network “permanently,” despite the fact that his father Rupert and older brother Lachlan want to keep O’Reilly around. Apparently, the younger Murdoch is pushing for this to happen as quickly as possible, so if he gets his way, tonight’s episode of The O’Reilly Factor will end up being its last. As the New York Magazine story points out, a similar disagreement took place in the Murdoch house last summer, with James Murdoch wanting Fox News CEO Roger Ailes to be fired and Rupert Murdoch preferring to keep him around. James ended up winning that argument, and as The O’Reilly Factor bleeds advertisers (the magazine puts the total at three dozen) and 21st Century Fox conducts a formal investigation into the many sexual harassment claims against O’Reilly, it seems like the odds are in his favor to win this one as well.